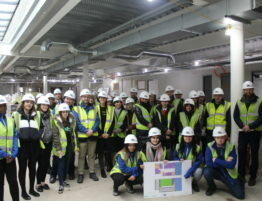 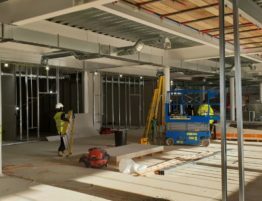 Work has been ongoing at the site on Montrose Playing Fields in Colindale for several weeks now and as the steel frame nears its completion, those in attendance were invited inside the site complex and given their first glimpse of the shell of a building which will change the lives of thousands of young people across the borough. 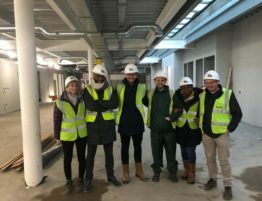 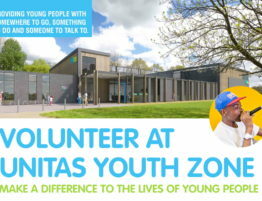 The Youth Zone will join OnSide’s network of Youth Zones across the UK and will be the first in north London when it opens next year, offering sports, arts, music, drama, enterprise and employability opportunities, counselling and much more for just £5 a year membership and 50p per visit. 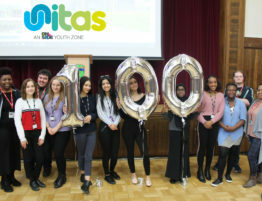 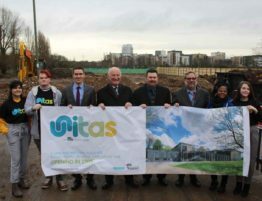 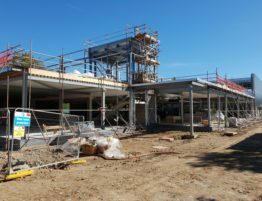 Barnet Council is contributing £4.2million towards the construction costs of the Youth Zone, which will be called Unitas following a branding process consisting of over 2,000 local young people. 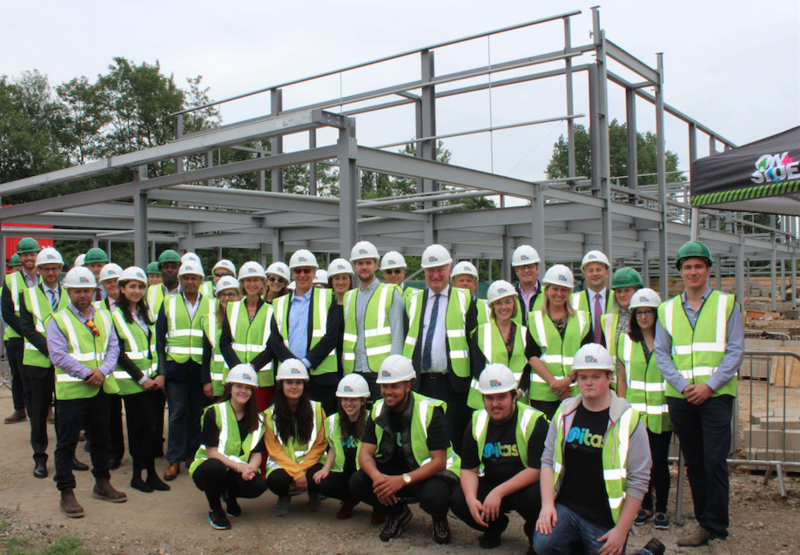 OnSide is committed to raising the annual £1million revenue costs from a range of local trusts, grants and private sector philanthropy. 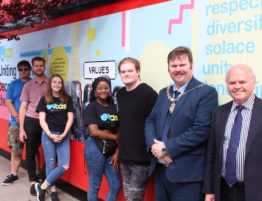 A number of those already funding the project joined Youth Zone Chair Keith Black, Chief Executive Tony Lewis and Council Leader Councillor Richard Cornelius at the site to celebrate the start of an exciting project.